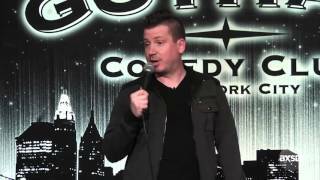 Dave Landau is a comedian from Detroit, MI. With a fast-paced style, sharp jokes and a strong improv background from The Second City Comedy Theater! He is an act you're sure to enjoy. Dave has appeared on Comedy Central's "Live at Gotham", NBC'S "LAST COMIC STANDING," HBO'S "Las Vegas Comedy Festival" (as 1 of the Best 21 Club Comics working today! ), "The Bob and Tom Show" and provided his voice along with Larry The Cable Guy and Jeff Foxworthy on Henry Cho's "What's That Clickin' Noise?" Dave has also opened for Dave Chappelle, Dennis Miller, and Steven Wright.